Ritinox stocks Round Bars, Angles, Channels, Flat Bars in its state of the art warehousing facility located in Mumbai and New Delhi. 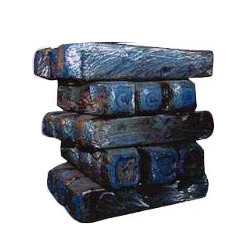 We stock round bars from 2mm dia to 350mm dia. We have marked a distinct and dynamic position in the market by providing a high quality array of SS Billets. Keeping in mind the diverse requirements of our clientele, we are occupied in offering a comprehensive range of Stainless Steel Billets. WE ARE LEADING MANUFACTURER OF STAINLESS STEEL BILLETS IN 304, 304L, 316, 316L, 202 GRADES IN VARIOUS SIZES. OUR QUALITIES ARE EXTRIMELY FINE DEVELOVPED. We have marked a divergent position in the market by providing high quality Stainless Steel Billet. We are capable to offer a complete range of SS Billets to our customers because we have long successful presence in the industry that gives us the accurate knowledge of the demands and specifications of the customers. 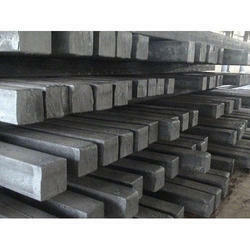 We are a renowned Stainless Steel Billets Manufacturer, Exporter and Supplier in Gujarat, India. We manufacture Stainless Steel Billets using quality Stainless Steel which add durability to the construction of the billets. We ensure the supply of flawless Stainless Steel Billets in order to maintain the reliability among our customers. We are into offering of superior quality Stainless Steel Billets. We are also offering our range in the complete customized form according to the client's specific requirements.